Supersonic Car Wash was founded in 1959 by Wayne and Marion Goddard in Ogden, Utah. The Company engages in car washing and polishing in the area of Utah. The Supersonic Car Wash is a member of Utah Carwash Association, Western States Carwash Association, and International Carwash Association. The company has locations at Ogden, Salt Lake, Murray, Sandy in Utah in which two of the centers are self serve car wash centers. 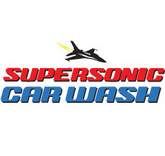 The services offered by Supersonic Car Wash include full service washes, exterior washes, and extras. The company also provides a quick wash option that provides carpet and upholstery leather cleaning and hand waxing. There are currently 0 consumer reviews about Supersonic Car Wash available. Share your review. Please take a note that you are about to post a public review about Supersonic Car Wash corporate office on CorporateOffice.com. This review will be public, so please do not post any of your personal information on this website. If you would like to contact the corporate offices of Supersonic Car Wash, please use their contact information such as their phone number, website, and address listed above to contact them. However, sometimes staff from Supersonic Car Wash headquarters do read the reviews on this website.